Members of Congress will introduce historic legislation today to permit for the regulated production and retail sales of cannabis to adults in states that have legalized its consumption. Representative Jared Polis, (D-CO) is sponsoring legislation that seeks to regulate marijuana in a manner similar to alcohol. 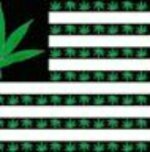 Separate legislation to be introduced by Rep. Earl Bluemenauer (D-OR) seeks to establish a federal tax structure for retail cannabis production and sales. Both Representatives, along with drug policy reform advocates, will discuss these measures at a teleconference this afternoon. "When residents of Colorado and Washington voted to end their state's prohibition on marijuana last November, it was a watershed moment for our nation's move towards sane marijuana laws," said NORML Communications Director Erik Altieri, who will be speaking at today's teleconference. "But there remains a lingering conflict between state and federal law. These historic measures seek to resolve this conflict and empower states to dictate their own marijuana policies, without fear of federal incursion. NORML would like to thank the Congressmen for taking this brave step forward and encourages their colleagues in Congress to join them in calling for sensible marijuana law reform." Both Representatives have also released a report today outlining the need for federal marijuana law reform, titled "A Path Forward: Rethinking Federal Marijuana Policy." The report states that "it is time for Congress to allow states and voters to decide how they want to treat marijuana. The current system is broken. It wastes resources and destroys individual lives, in turn damaging families and entire communities. It is past time to take action and stop this tragic waste in the future." Members of Congress will also call for the establishment of a Congressional Working Group on Sensible Drug Policy. You can read the full text of tha paper here. Abraham Lincoln was an avowed enemy of prohibition. Cannabis was prescribed for his wife after his assassination to help stabilize her nerves. prohibition routinely used cannabis medicines.